Important information for both employers and individuals, this study demonstrates the immense pressure and stress employees bring with them to work everyday. Employee wellness is a huge concern for employers and small businesses, as the burden of employee financial stress reduces productivity and quality of their work. 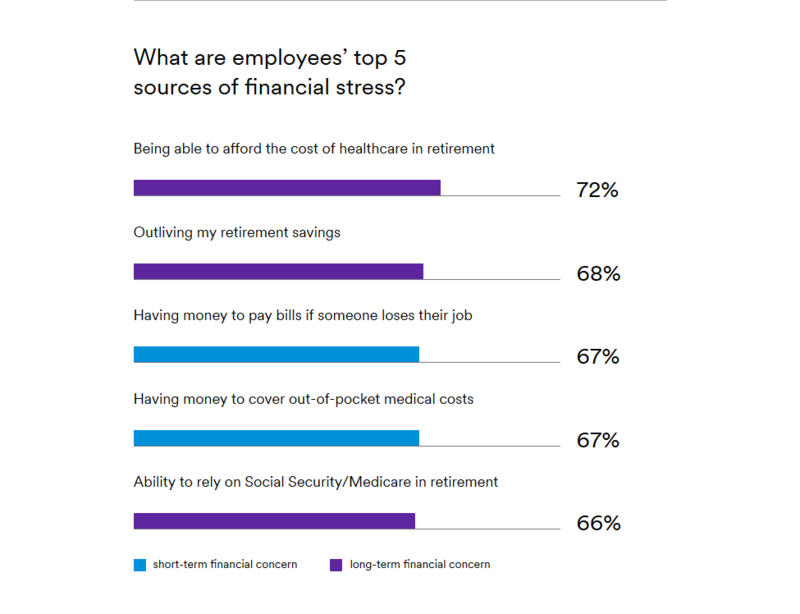 Financial stress is not only hurting job satisfaction, it is weighing on growth, revenue and the bottom line. Given the strong job market (fueled by low unemployment and labor shortages) employees are leaving companies for more than just financial reasons. The results effect more than the bottom line, employee turnover and loss of key talent hurts growth, operations and company morale. People want a work environment that will improve their quality of life, both at the office and at home. Employees are migrating to organizations that offer benefits and programs to deliver this ideal lifestyle.